Consumer's demand for year-round fresh produce is often in direct conflict with an increased focus on environmental stewardship and energy conservation. However, with the extensive experience of our team at Western Energy Systems' and the use of innovative GE Jenbacher products, this no longer has to be the case. 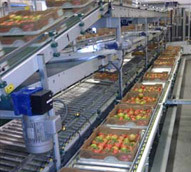 As an example of this exciting technology, we are highlighting a project completed for Houweling's Tomatoes in Camarillo, CA. Tomatoes are the most popular fruit consumed in the world, with production in excess of 60 million tons, providing ample opportunity for energy savings in this market. 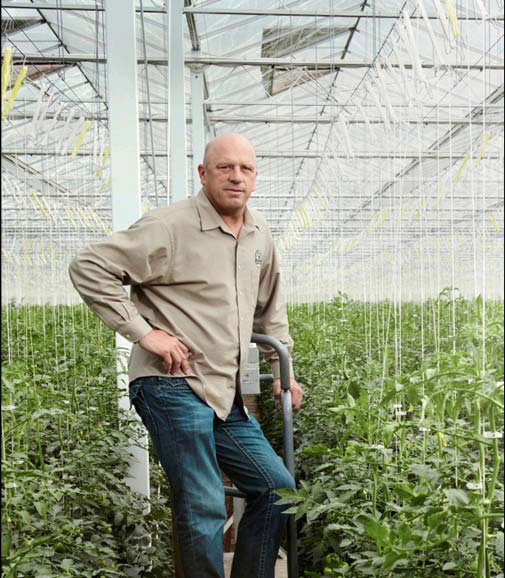 Houweling Tomatoes is an industry leading North American greenhouse grower who has been recognized by the state of California for their environmentally friendly growing practices and contribution to the local economy. At the heart of Hoeweling's operations is GE Jenbacher technology. This project is the first of its kind implemented in the US and provides the heat and power needed to run the greenhouse as well as a CO2 fertilization system. 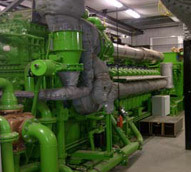 Three 24-cylinder Jenbacher J624 two-staged turbocharged engines fueled by natural gas are used for this CHP (combined heat and power) system. 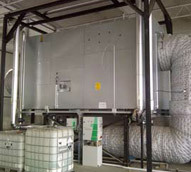 The system provides 13 megawatts of electrical power and 16 megawatts of thermal power in the form of heated water, with a thermal efficiency of over ninety percent. During peak daylight hours, the system is also able to direct extra energy back into the grid, benefitting the community and aiding the state of California in meeting its goal of producing 6,500 megawatts of new CHP power by the year 2020. 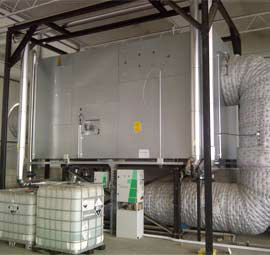 The advanced catalytic reduction equipment removes carbon monoxide and nitrous oxide compounds from the emissions stream while producing usable carbon dioxide that is utilized to fertilize the produce. This provides two significant advantages as it removes approximately 16,000 tons of CO2 from being released into the atmosphere, while simultaneously eliminating the need for 500 truckloads of liquid CO2 fertilizer annually. Additionally, water that is condensed from the exhaust stream is used to displace 9,500 gallons of fresh water per year that would normally have to be taken from the local water supply. 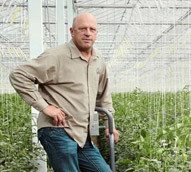 By utilizing the most advanced technology in the industry and taking the time to thoroughly understand the customer’s needs, we were able to design, deliver, and implement a system that has become the model of efficiency within the greenhouse growing industry. For additional details about the Houweling's Tomatoes CHP project, see the table below, or contact us directly. GE has installed more than 800 gas engines CHP units in greenhouses globally and Houweling’s is the first in the U.S.
GE’s proven technology and leading efficiencies have allowed Houweling’s to reduce their CO2 footprint and water usage. 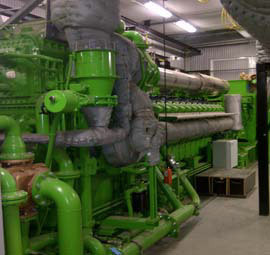 The two GE Jenbacher J624 CHP systems can provide 8.7 MW of power or enough to supply the energy for 8,800 homes.